Combat the Winter Blues, circadian sleep disorders, jet lag, shift work adjustment and low energy with this contemporary, discreet bright light therapy lamp. Bright light therapy experts recommend lamps that deliver 10,000 LUX in a broad field of illumination. 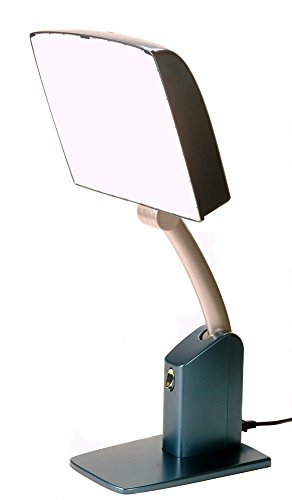 The Day-Light Sky lamp provides 99.3% UV-filtered white light and projects light from above for effective therapy. Meets the strict therapeutic criteria of leading experts. Contemporary, attractive and multi-purpose lighting system. This light meets the clinical guidelines for effective light therapy and offers two flicker-free settings for either therapy or task lighting.